Ah, the holidays. A time in business to tie a bow on the past year and exhale from what was hopefully a time of prosperity. And according to a new survey, it’s a time when your employees want to get paid a bonus. And a time when not many of them will get one. The survey, commissioned by Spherion Staffing Services and conducted by Research Now SSI in November, said the top perk was “holiday bonus,” coming in at 41%. The survey included more than 1,000 consumers. Unfortunately for the season’s top perk and the employees who want more money, companies are embracing their inner Scrooge this year. 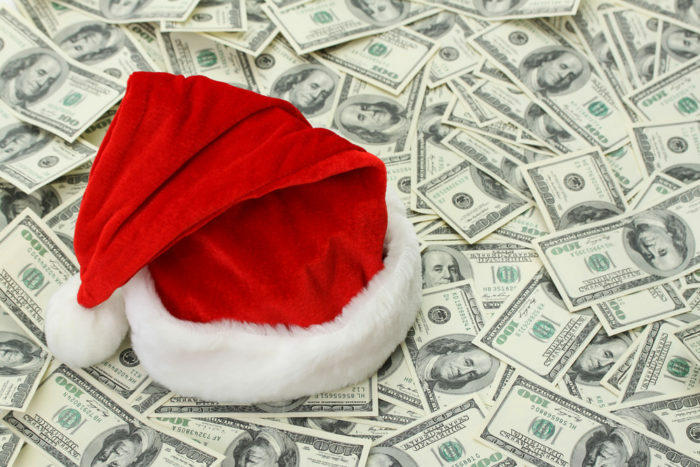 46% of respondents said their company does not give holiday bonuses or any other monetary gifts during the holidays. For those who do get a holiday bonus, the majority receive less than $500. Well, if employers can’t write checks, hopefully they can at least find time to party their faces off, which was the second most popular perk with employees. 36% listed “holiday party” as their favorite corporate activity during the holidays. Of course, in the #metoo era, companies are being advised to limit alcohol. According to a survey by Challenger, Gray & Christmas, plans to host an office party dropped just over 13% from 2014 to 2017. This year, the outplacement firm’s survey of 150 HR people found only 65% reporting their company planned to hold a holiday party, the lowest percentage since 2009. Not surprisingly, the number of parties that served alcohol decreased between 2016 and 2017, from 62% to 49% from 2016 to 2017. The number planning to serve alcohol at their part this year is pretty much unchanged at 48.5%. Research Now SSI also uncovered a charitable environment this season. 46% of employees surveyed said their company will participate in charitable activities or give back to the community. The top activity will be food/clothing/toy drives at 51%, followed by company volunteer events and adopting a needy family or child, at 18% and 15%% respectively.